There can be... let's just say... more than ONE good reason to crawl into bed, ya know what we mean?? Well, maybe. Any experience in bed will be diminished if your mattress feels less than desirable. You are probably here because your RV mattress is less than stellar and you are looking to replace it. First, let's learn more about the many different types of mattresses there are out there along with the pros and cons of each material type. We discuss bedding options as well as RV mattress sizes. You will learn here what you are really looking for in terms of a new mattress for your RV. Bad RV Mattress, Or Is It You? Already know all about this subject? Just looking for the reviews? Click the button below to jump down to the product reviews. Crawling into bed to watch your favorite show can be the favorite part of your day. It is mine, lots of the time (this is Kelly). However, the 'mattress' (aka futon + foam 'thing') that came with my rig was pretty ridiculously BAD. Still, I endured it for almost three years. Yikes, right?? Why did I endure? It just wasn't something I wanted to spend my precious dollars on. I put a band-aid on it by getting a Tempur-Pedic foam topper. Then I thought it was fairly comfortable, until the futon started to dip in the middle. After that, 'comfortable' sleeping became a crazy regimen of assorting pillows and sleeping positions. It was time to get a real mattress for my RV. Mattresses seem like a simple thing. Traditional mattresses were made out of springs with some cushioning on top of the springs. Many are made similarly today, but the better ones use a new type of pocketed coil system which is far superior as far as motion transference goes. Now there's various types of foam mattresses as well, many with no springs whatsoever. Some are hybrids, sporting a combination of springs and foams. Getting down to the bottom of the RV mattress rabbit hole of information proved mighty challenging. Still, we did the wading for you and hopefully this helps you to understand the lingo and the important stuff a little better. There are mattress sizes specifically made for RVs, but there are also conventional sized beds in RVs. Many online makers don't offer custom sizes. In our research, some that DO offer custom sizes had such bad customer support we couldn't even begin to consider recommending them for a good mattress to purchase. Yet, we did find very good companies with mattresses that are very clean as far as them not using harmful chemicals to fire-proof their mattresses. We rated mostly for excellent customer service and superior product with the least chemicals used possible. Back in 2007, the government got their hands on the mattress industry, claiming that the mattresses needed to be fire resistant. This was due to deaths of sleepers, mostly from smoking in bed and falling asleep. The rule is that the mattress has to pass the Consumer Product Safety Commission's (CPSP) test. All mattresses have to meet or exceed their open flame fire test. To make this happen, many companies use fireproofing chemicals since chemicals are the cheapest way to fireproof a mattress. However, these dangerous chemicals off-gas from the mattress and into your body. No doubt about it, the chemicals used are dangerous for your health. However, there are also some mattress companies who opt to use mattress cover materials that are innately fire-resistant. Materials such as wool, fiberglass, and kevlar can meet the standards that must be passed. In terms of health, at the very least you want a company who uses ZERO chemicals to make their mattresses fireproof. None of our recommended mattresses use chemicals for fireproofing. It's thought that when people switch over to a fire-protected mattress, as much as 75% of the deaths and injuries related to mattress fires can be avoided. You can probably conclude that if you have a mattress older than 2007, it's in your best interest to upgrade to a new one. An alternative to buying a brand new mattress for your RV is to purchase an RV mattress topper. This is a foam (generally memory foam) piece somewhere in the 2-3 inches thick range that you put on top of your old mattress. The hope is that the foam topper will make your horrible mattress bearable enough to continue sleeping on. This is the route that Camp Addict Co-Founder Marshall took in his Lance travel trailer. He purchased a 3-inch thick memory foam camper mattress topper (seen below). This has made his stock RV mattress a lot more comfortable, but let's get real, for the price of a good quality RV mattress topper, you are half-way to a new mattress. And it might not do the trick. JUST BUY A NEW MATTRESS! Or, you can certainly purchase an RV mattress topper. Good luck finding the best RV mattress topper as Amazon is full of options. After spending waaaaaaay too much time researching the subject, Marshall ended up purchasing a queen sized topper from ViscoSoft (also available in all standard mattress sizes). Yep! Foam mattresses AND spring mattresses are being shipped this way these days. SO much more convenient and cheaper than sending one full-sized! Mattress companies as a whole are springing up EVERYWHERE these days. You can order a camper mattress online and have it shipped right to your door, vacuum sealed, in a box. We live in an amazing time, friends! There are RVs with regular size beds and RVs with custom mattress sizes and shapes. We wanted to showcase both types as both exist in the RV industry. Some People Like It... Hard? These are some of the more popular types of materials that make up a mattress. Let's start with latex mattresses. 'Natural' latex foam is made from the sap of the rubber tree, so it's 'natural'. It's simply a plant product. There are two types of natural latex foam materials, and they differ only in how they are processed. These mattresses will either be 'dunlop' foam or 'talalay' foam. The difference between them is how they are 'cooked'. Dunlop latex mattresses are made by filling up a mold with the product. It is then 'cooked' in a vulcanization oven. After the vulcanization process is complete, the foam is washed of soap and excess material. It is then dried at high temperatures to assure that the mattress gets fully dried. This is kind of boring, but if you're a little geeky about this stuff, well, these descriptions are for you. The dunlop is a simpler process, and the talalay process is a little more involved. What's the difference? The talalay mattress foam will have open vertical columns in the material, allowing for air flow in the mattress, creating a somewhat cooler product. Also, air and synthetic materials are added to the talalay, so there is NO SUCH THING as an all-natural talalay foam. Most would call the talalay foam 'springier' than the dunlop foam foam. Still, the two look and feel very similar to the untrained consumer with the talalay being a little softer. Because there is more of a manufacturing process involved in making talalay, if you are looking to reduce your carbon footprint, dunlop will be the way to go. If you are a hot sleeper, the talalay will be a better choice for you, if it's the top layer. Because of the extra processing, talalay mattresses are typically more expensive than dunlop, so if you are on a budget, the dunlop mattress will be the more affordable option. Some benefits of natural latex is that it is resistant to dust mites, as well as being anti-microbial, antifungal, and hypo-allergenic. A synthetic latex is any latex that has been mixed with other material or chemicals. Most commonly this will be polyurethane foam, which is a petroleum by-product. This kind of latex will off-gas chemicals and will also break down sooner than a natural latex. Some synthetics also have little capability to absorb and release moisture, causing heat issues. Additionally, they can invite molds, dust mites, mildews and more. Synthetic will also be cheaper than pure latex foams, so these are out there to keep costs down. They are commonly found in hybrid mattresses to keep the price down. True organic latex is very expensive. 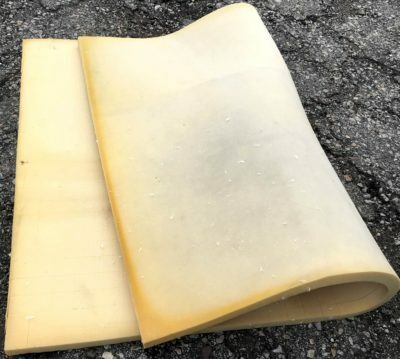 So when it comes to a cheap RV mattress, you are looking at synthetic latex. About 60% of mattresses sold are still traditional innerspring mattresses. These mattresses are built with steel coil springs as a base with many different topper configurations. Tops may be covered by foam, pillow tops, memory foam, poly foam, or any given combination of these materials. The biggest downfall of the innerspring mattress is that if you sleep with a partner, oftentimes your sleep can be disturbed by their movements. Most foam mattresses (foam base, no springs) are far superior to innerspring mattresses in this regard. Motion transference in a foam mattress is usually less than a spring mattress. One way companies have tried to overcome this issue is to have the spring coils individually wrapped in fabric. They are called 'pocket coils'. For shipping, some companies are even able to compact their spring mattresses, without any ill side effects. The More Coils The Better? Nope. More coils doesn't necessarily mean higher quality. In fact, it is likely to be the other way around. If a manufacturer uses more coils and cheaper foam on top, you are still going to get that sag after a while. Look for an average of about 800-1000 coils. More importantly, look for very good quality foam covering the springs. Polyurethane foam, or 'poly' foams are among the most inexpensive and lowest quality of mattress foams. It is made from chemicals. Polyurethane foams are derived from petroleum products with many added fillers. Because manufacturers can use so many different variations of chemicals and additives, they can come up with a plethora of different types of poly foams. They like to then give them fancy names, like 'memory foam', or 'dream foam', or what not. How do you know if the foam in your bed is good or not so good? It's not the easiest thing to get answers from a salesman on the floor of a mattress company. However, there are two main things you need to look for. Density- the denser the foam, the better quality because the more structure it has. Therefore, it will last longer and hold weight better. Densities for a foam core typically range from 1.5lbs to 3 lbs (measured in a cubic square). Densities for a spring mattress topper might range between 1.3 and 1.8 lbs. A higher density foam does NOT mean that it is firmer. They can make them either way. Firm or soft. IFD- This is the firmness factor of the foam (interface pressure). This is like a comfort measurement. What you choose will depend on how firm or soft you like for your mattress to be. This is a polyurethane foam with added chemicals that make it have a signature melting into it effect. They also call it 'memory foam'. This foam has qualities that are nice, and some that are not so nice. It's meant to be a top 'comfort' layer. A mattress made entirely with memory foam would likely be hot, and hard to roll over on. Therefore, most memory foams are just a top layer (or somewhere near the top layer) with either springs or some other foam beneath it. Memory foam is a personal preference. Some like it and some do not. Memory foam was first created for cushioning the astronauts while experiencing major g-forces during takeoff. Today it is found in mattresses and many other products. Memory foam does not 'snap back' into original form. It takes a bit longer to return to normal, hence the imprint of the hand in the above photo. ALL mattresses, even those ENTIRELY of organic products, will off-gas. The amount of chemicals they off-gas varies depending on how much chemical was used to process the product. Better to let it off-gas in your garage or other covered area out-of-doors. This video below shows you how much MORE off-gassing occurs in the first 24 hours of opening the packaging. RVs come in a multitude of sizes. Not only to they come with traditional sized mattresses, they come with their own 'personal' set of custom sizes as well. They can all vary by width and length as WELL as depth. Be sure to note what will or won't fit as far as depth goes. Here are some of the most common sizes. Listing traditional sizes here will simply help you learn if you have a custom size or a 'tradational' size. Traditional mattresses come in many different heights depending on the manufacturer. Starting off with the smallest beds, RVs can come with twin beds. They are almost ALWAYS a traditional sized twin at 39 by 75 inches. They are sometimes used as daytime seating, which can be nice for double purpose. Full beds are the same thing as double beds. An RV full mattress measures 54 inches by 75 inches, and a domestic full mattress is 53 by 75 inches. Not much different. An RV queen mattress can come in a variety of dimensions. A regular 'house' queen mattress measures 60 by 80 inches. You could have a typical 'house' queen mattress in your RV. If so, yours is called a regular RV queen mattress. A regular king is 80 long and 76 wide. An RV king mattress is only narrower by 4 inches. So, RV king mattresses are a little narrower than king 'house' mattresses. If you really want to know what size to get, don't measure the mattress. Measure the platform it will rest on. If you have an older mattress, it may have shifted or spread some due to age and might give you a false read. If you measure the platform, you can also see and measure if you want to allow the mattress to hang over the edge at all, and IF you can have it a little longer or wider. Making it wider than the platform may not be a very good idea (imagine being close to the edge, and having the feeling you are going to roll off) but you COULD potentially make it longer than your platform. We HAVE heard of other RVers who have MADE a traditional mattress fit into a space by literally cutting off whatever portion of the mattress needed to be shortened. We hear it works, but have no experience with it. You can find videos on YouTube of people cutting their mattresses. Obviously, a mattress must be a foam-only mattress to do this. What do you do when you have a special sized mattress to have to cover? If yours is not a standard size, you need special sheets and bedding. There are RV sized sheets for sale out there. Some are made like traditional sheets, and others are made sort of like a sleeping bag. Some people (like CA Kelly, below) opt to use no sheets whatsoever. This may apply for you especially if you have a REALLY wonky sized mattress. Kelly quit using sheets in 2017. She uses a quilt/bedspread to cover her RV queen mattress, and a covered duvet to sleep under. With a bed area that has zero walk-around space, and only one little section to get into the bed area, making the bed was a back-breaking event. This lack of accessibility to all sides of the mattress was the major reason Kelly decided to go without. If you want to go the traditional route and you have an 'RV sized' mattresses, you may have to get special sheets to fit your mattress. Please note that we each have had friends who had an RV with an 'RV Queen' (smaller) sized mattress, but they had enough room at the end to still put in a regular (longer) 'traditional' queen mattress. Only requirement is you would need enough room at the end of the bed for it to fit. It will hang off the platform, but that part of the bed only holds your feet, so it actually works out. You may not be able to get to the sides of the bed (standing) but that's your prerogative to choose. Can you believe how much there is to know about mattresses? When we started researching, we thought it would be a simple, short page. Not so. Now you know the difference between RV bed sizes, synthetic and non-synthetic, foam and springs, bedding choices, and more. If you are in the market, we have reviewed mattresses below. Keep on reading to find your perfect night's sleep! There are literally HUNDREDS of companies out there making mattresses for online order these days. Sifting through them was not an easy task. Still, we found the best RV mattresses for your specific need so you don't have to do all the research. We give you the best choice for a traditional innerspring mattress that you can use when your RV mattress size is standard dimensions. There is also the best memory foam mattress (again, available only in standard bed sizes). 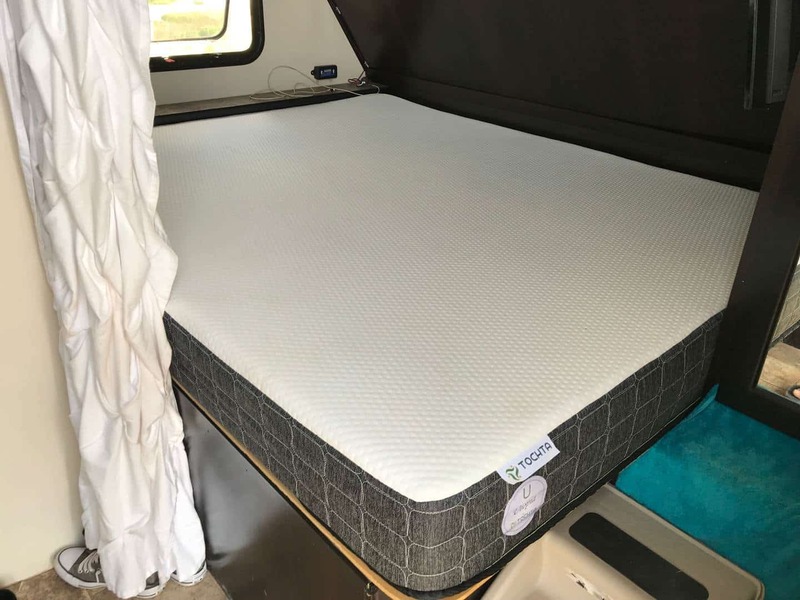 And finally, if you are looking for a more affordable option, and one that is customizable as far as size, shape, and thickness, we review the best budget & customizable RV mattress (the Tochta). (FULL DISCLOSURE- Tochta provided Camp Addict with a Tochta 'Utopia' RV mattress for review. Kelly is currently using this mattress. UPDATE: After one year of usage as of April 2019, Kelly is still 100% in LOVE with this mattress. Kelly can attest- this is a VERY comfortable mattress that feels like you're floating on a cloud. The gel memory foam topper feels like a pillow top, or the perfect form-fitting mattress. Fast to ship and very customizable for your RV, this is the perfect AND affordable RV mattress. 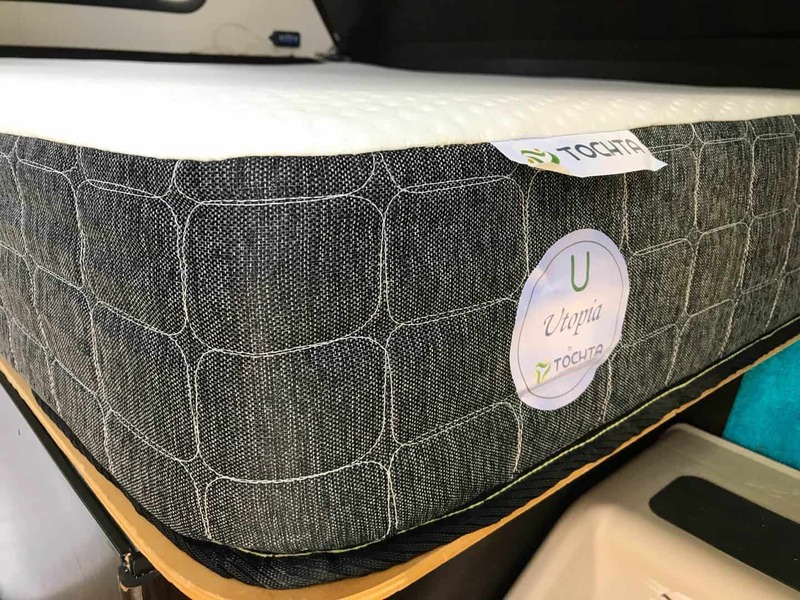 The Tochta RV mattress is just about the perfect two-time category winner (best budget and best custom RV mattress) and may be the ideal candidate for replacing your icky RV stock mattress. It's customizable not only in length and width, but also in height. They can cut corners - rounded, notched, or angled. Nice not to have to cut a hole in your wallet to get a comfortable night's sleep and a perfect fit for your RV. It's simply a stretchy fabric, and it is nice and soft. One might think 'fiberglass?!?!'. But believe us (Kelly), it's very very soft and plush. And we can tell you that the Utopia sleeps like a dream. 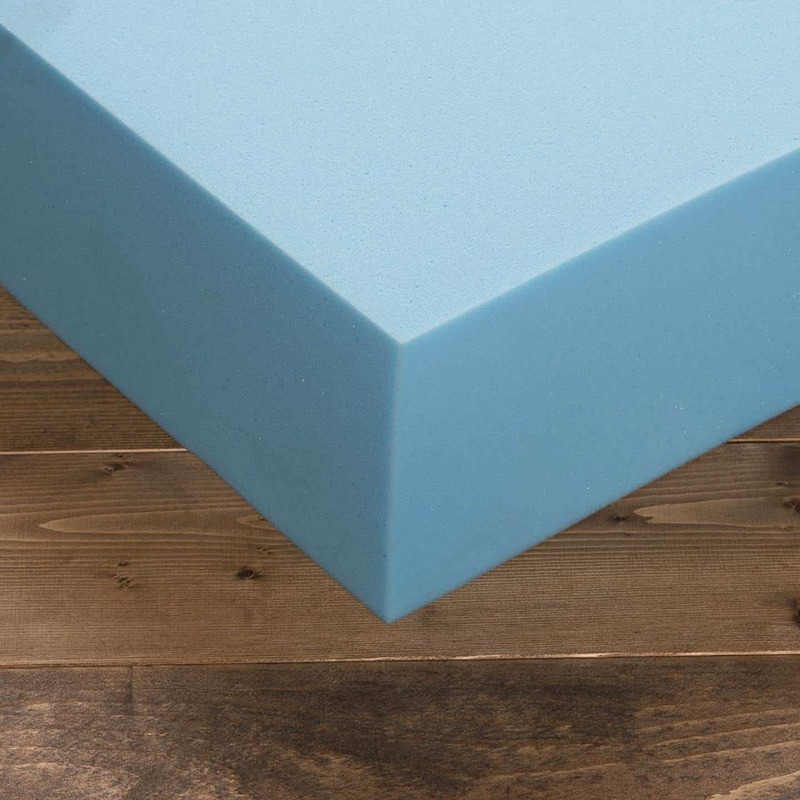 Unlike traditional memory foam, this memory foam is gel infused. This stops the memory foam from feeling like it 'holds' you in one place. It also cools so you don't get hot like one does on other memory foam mattresses. Also noticed was that this memory foam, unlike most traditional memory foams, does not get hard when it gets cold. Somehow, this foam stays soft, which is great when coming into a cold RV and wanting to plunk down for the night. Kelly's old memory foam Tempurpedic topper would be hard as a rock when under about 55 degrees. This mattresses provides what they call a 'hug factor'. This is a very good description of how the mattress feels. It perfectly allows your heavier parts to sink in a little and contours around your entire body nicely. This eliminates pressure points and also helps to support where support is needed. If you prefer a firmer mattress, this mattress probably won't work for you. The Utopia (Kelly's) is the firmest that they have, and it is SOFT (but SUPER supportive). It's very plush, so if you like firm, these may not be firm enough for you. Ordering is super easy in that they only offer three mattresses. The Journey, the Cortana and the Utopia. Each is designed for different comfort preferences. A simple rating system from 1-10 of support and comfort help you to decide which Tochta mattress would best suit your preferences. You can order these online with their very simple to follow website, which provides you with an instant quote even when you specify custom dimensions and corner shapes. Addressing the video above, it's actually pronounced sort of like 'Talk-ta', not to'ch'ta. If that makes sense! The 'ch' is pronounced like a 'k'. I asked the owner how he came up with the name, and he said that his wife is Irish. Tochta is Gaelic for 'mattress'. So they named it 'Tochta'. 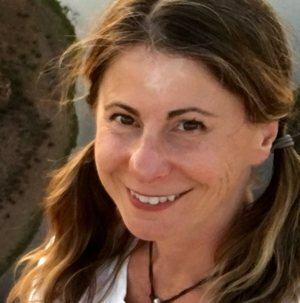 UPDATE: April 2019- Hi, this is Camp Addict Co-Founder, Kelly. I wanted to point one thing out. I have spilled a couple of drinks on this mattres. It acts like a sponge, quickly absorbing the liquid. I am not sure how a foam mattress 'assimilates' the liquid- as in does it get moldy inside? What about a regular spring mattress? Would it do the same? I almost wish I had gotten a waterproof cover for this mattress. But I didn't. And now I am much more careful about what drinking cups I use while I am in bed. I still FREAKING LOVE the mattress, and rave about it all the time! For shipping, Tochta compresses and rolls their custom RV mattresses. This makes handling the mattress SO much easier than handling a full-sized mattress. The mattress is compressed using a special machine. It is vacuum sealed in a bag in order to stay compressed. Upon delivery, you simply place the mattress, unopened, on top of your platform. Then, cut the bag, and the mattress will immediately start to re-inflate to its regular size. It's fun to watch! Tochta's customer service and support are exceptional. Camp Addict rejected quite a few mattress companies for their poor to non-existent customer support and service. 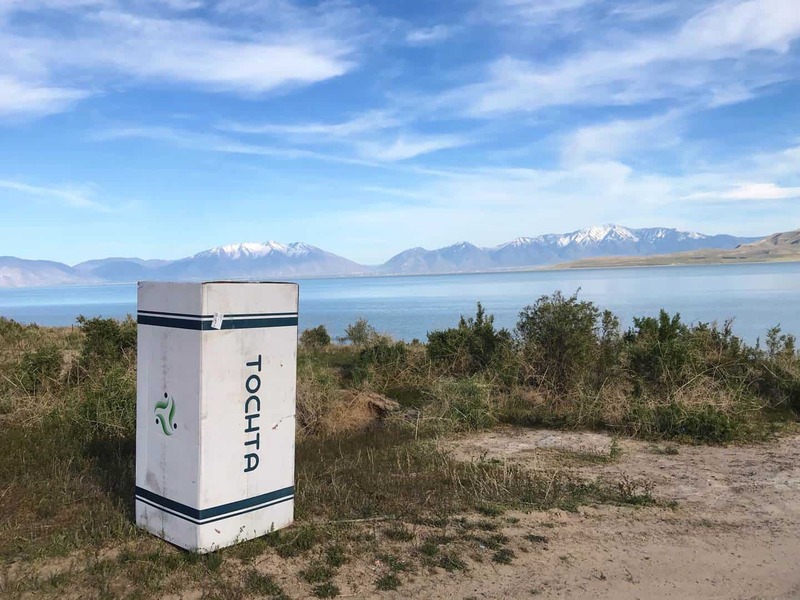 Tochta is dedicated to keeping their name and their mattresses to being top of the line. We spoke to and emailed with the owner, Brian Gargalis, at length. He was always very open with us and very happy to chat on the phone about any questions we had about Tochta. He seems excited and passionate about what he does. And he knows RVs and how bad the mattresses they come with usually are. He saw a problem and developed the solution. Avocado Green is a very 'green' eco-friendly choice when it comes to a standard sized RV mattress. They don't use harmful chemicals to make any part of the mattress. They're made from latex, wool, and other non-toxic materials. User reviews are phenomenal. This is a great, health-conscious mattress to replace your RV junk mattress. 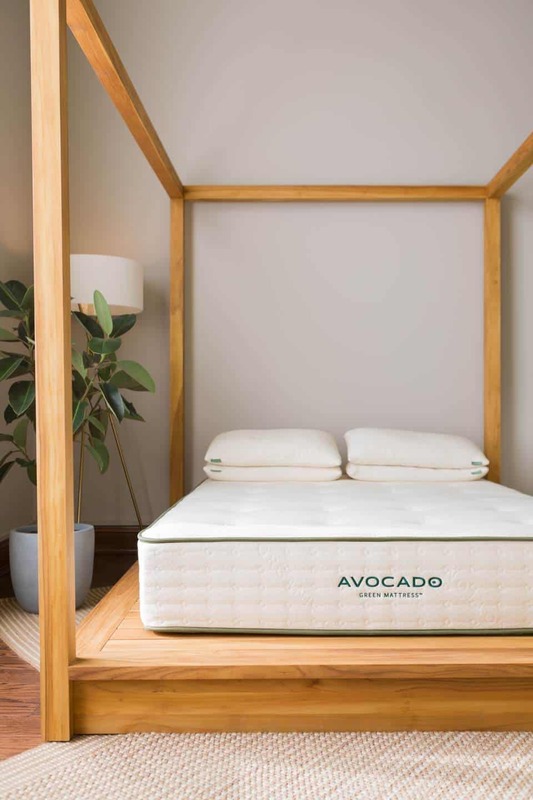 If you want to get all organic and healthy as well as get a good night's sleep, the Avocado Green mattress is for you. The company makes the mattresses by hand in California, they don't use chemicals, and they give back 1% of their sales to environmental non-profits. 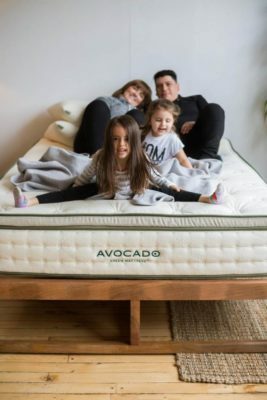 Avocado Green mattresses only come in standard sizes (Twin, Twin XL, Full, Queen, King, California King). 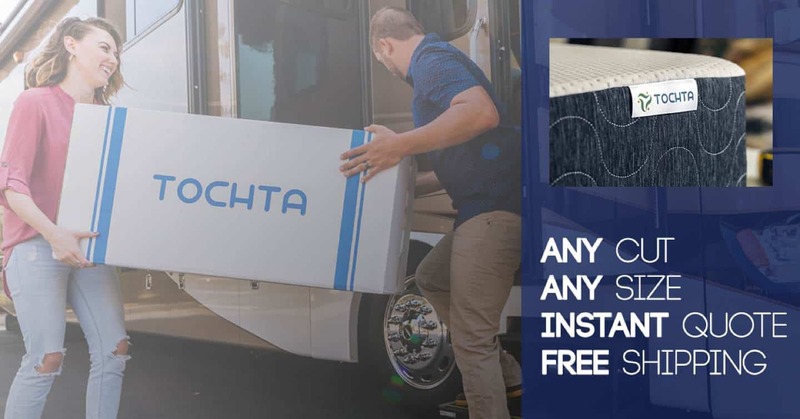 If you need a custom RV mattress size or shape, you will need to go with the Tochta RV mattress. This is one of the best innerspring mattresses money can buy. Yes, there's a company that sells mattresses with the highest quality materials/hand made, etc, for $99,000, but we're pretty positive our readers are not buying one of those for their RV. So we went with Avocado Green for best innerspring RV mattress instead. If you prefer the bit of 'bounce' that spring mattresses have, you will likely prefer this over an all-foam mattress. We really love that they make their ultra-luxe mattresses from only natural and organic materials. There are no toxic chemicals and they don't use any polyurethane foams which are petroleum-based and will out-gas potentially toxic chemicals for years to come. Thus, with Acovcado you get a safe product providing a wonderfully luxurious and safe night of sleep. The all-natural dunlop latex they use to make their mattresses is a sustainable product, made from the sap of rubber trees. The trees are perfect to use for product as they give back to the environment... providing oxygen to the atmosphere, and they promote biodiversity. Also, the latex is biodegradable, so when the mattress has run its course, the mattress won't stay in a landfill for generations to come. 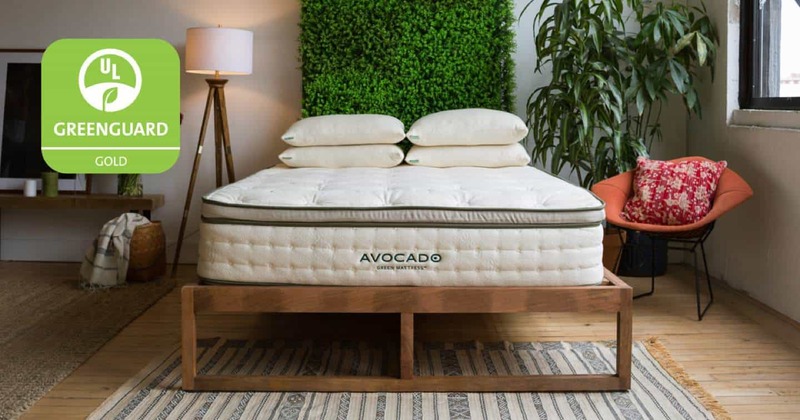 Avocado has multiple certifications which demonstrate the cleanliness of their mattresses. They are committed to creating non-toxic mattresses as well as doing as little to harm the environment as possible. Consumer Reports also rates this mattress as their #1 pick. You can read more about that here (PDF). 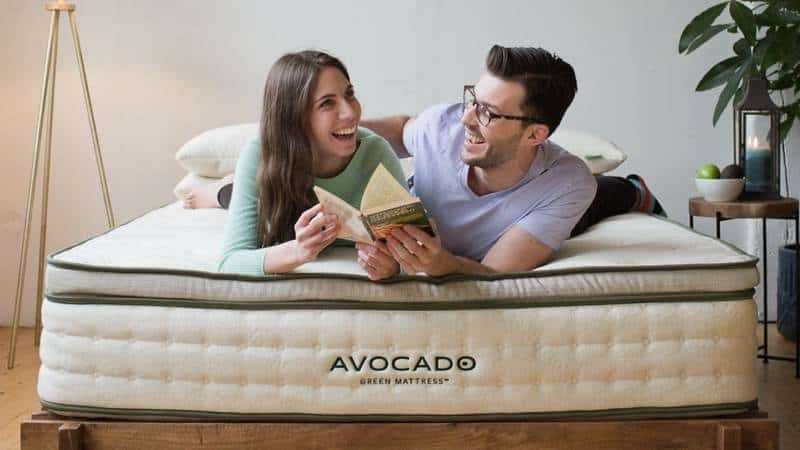 The Avocado mattress is ranked for best suiting many different body types as far as comfort goes. However, if you are a very small, light person, it may be on the firm side for you. The best part is that you can try out an Avocado and it's 100% risk-free. They allow you to test a mattress for up to 100 days. If you don't like it, let them know within the allotted time frame. The company will send someone to your RV (or house) to dispose of the mattress, usually meaning they will donate it to a local charity (used mattresses can NOT be re-sold). Some mattress companies will charge you to ship the mattress back to them. Not Avocado. There is absolutely no charge for you. Some other companies will also CLAIM that they you can do a trial run, but will not refund you your money after the return, they will only credit your account. Watch out for these companies. Fortunately, Avocado doesn't play these 'games'. Avocado Green is VERY transparent in their policies, and they excel at customer service and support. They have a live chat system which is stellar in terms of answers and in terms of speediness in replying. This was one of the things we liked most about Avocado... their transparency and willingness to help when needed. And they will answer your questions, no matter how trivial a problem or a question might seem. This means a great customer experience which we feel is very important. Great customer service is key to getting a good product frustration-free. 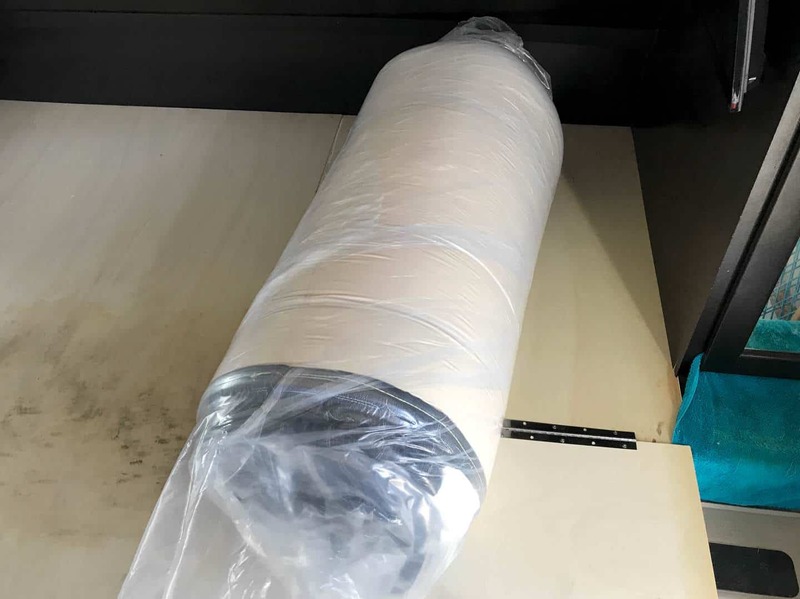 Avocado Green's mattresses come rolled up and vacuum packed in a box making delivery and shipping much easier, not to mention easier to maneuver around your place to get to its new home. Another feature they offer for ease of use is for an extra $199, they will unload the mattress and set it up for you. We confirmed that they WILL come to you if you are parked in a campground. You just have to be there for the delivery! So if you don't have the ability to set it up yourself, they will do it for you (for a fee). How sweet is that? The only downside we found to Avocado is that they do not make custom sizes. That means you have to have a standard sized bed in your RV in order to use an Avocado mattress. If you need custom sized RV mattress, we recommend a Tochta RV mattress. Essentia is a favorite of many who want a mattress designed to suit their sleeping comforts specifically. They offer quite a few mattresses, all created for different needs. Please note that Essentia memory foam mattresses only come in standard sizes. Essentia claims to be the only mattress maker who makes a 100% natural memory foam. All other memory foam mattresses have at least some petroleum product or other synthetic chemicals added to make them softer. Essentia mattresses only come in standard sizes (Twin, Twin XL, Full, Queen, King, California King). The way the company came about was from the founder's desire to make a truly toxin free mattress. It happened after a family member became diagnosed with cancer, and the founder learned about how many toxins were in the products we use every day. He then decided to make one that was toxin-free. 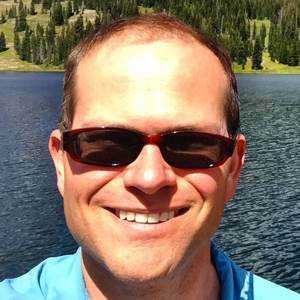 Camp Addict Co-Founder Marshall has owned an Essentia mattress and absolutely loved it. Essentia offers many different styles of mattress made to suit different needs for different sleepers. There is much dispute on the internet about if Essentia is truly organic or not. Most of the debate had to do with the way Essentia marketed their mattresses, using the words 'zero, no, or free' when it came to VOC's. The FTC was in on the issue, but it was ironed out. The conclusion to the charges can be read HERE. An Essentia memory foam mattress may not be cheap, but they are one of the most affordable mattresses you can get when it comes to 'clean' mattresses. They start at just under $2,000 and go up from there. No, they are not cheap, but they start out cheaper than the top three 'clean' mattresses. Essentia was chosen by Paul Acialla of Delos to use their mattresses for their Stay Well program. Delos is a company striving to the wellness of human beings by improving indoor environments. After testing hundreds of mattress brands, it was Essentia who was chosen to be a fit for their program. This says a lot as for the quality and the cleanliness (the least toxic chemical outgassing) of their mattresses. Essentia says that the make the world's 'only natural memory foam'. They make it out of natural latex. Most memory foams are made from polyurethane. Hence, the 'clean' aspect of the mattresses. Essentia offers seven adult-sized mattresses on their website. Each of the mattresses, all standard sizes (no RV custom sizes) are eight inches thick. Choices vary greatly as far as firmness and plush factor. Essentia also offers pillows and other accessories such as sheets, baby mattresses, pet supplies and more. Mattresses, like people, come in many shapes and sizes. Confusing as it seems, all you really need is one that fits and one you feel is comfortable. Educating yourself about the different types of RV mattresses out there is your first step in figuring out what kind will likely work the best for you. RV mattresses don't help the confusion much since most new rigs come with a less than desirable mattress. Then you add in weird sizes and it gets more complicated. This is why we chose Tochta as our #1 pick for budget AND for custom. They are VERY easy to order, have fantastic customer support, and you can make it ANY size you want (within some very reasonable constraints). We might have to try that Tochta mattress when we get back to the US. Probably a lot lighter than our current innerspring. We had a Tempurpedic for a while in California and it got mold on the bottom, so I’m a little hesitant to buy another foam mattress. It’s hard for me to get out of bed every day because my Tochta mattress is so comfortable. The struggle is real! The bad news is that ANY type of mattress can mold underneath in the right conditions. It’s best to get some sort of lift for the mattress so that air flow can reach the underside. Some people put wood slats under their mattress. There is a material called Hypervent… http://www.hyperventonline.com, used in boats for preventing moisture build-up under mattresses. Sometimes it is available at home improvement stores. You could also possibly use bubble wrap. I just thought of that one. But seems like it might work if you got the large size bubbles. ? Let us know what you go with, will ya? We’d all love to hear what you get and how it worked out. We decided to sell the 35′ Class A Motorhome and go to a pull behind. Yea, moving everything from the motorhome to a 20′ trailer is a challenge. We had just bought a mattress for the rig. My wife decided we needed to keep it for the new trailer, but it didn’t fit. We ended up ordering one from Casper mattress. We went with the cheapest model, but it still is pricey. It also is a little heavy. I like your suggestions, wish I would’ve found the site before we ordered! Awe maaan! There are a lot of great mattress companies out there, and we hope you do enjoy your mattress. We wish you would have found us sooner as well, but not you know about us. Next time you are looking for answers on a product, you know where to find us. Thanks for the kind comment and Camp On, Ken!! Kelly if you wrote this…I loved the humor. It’s refreshing. Thanks for all the hard work. We need a mattress bad and the 1st option looks perfect. Hi Stacy- I did! Glad you enjoyed. : ) I LOVE my Tochta mattress- it’s definitely the most comfortable mattress/sleep I have ever had. I can lay on my back in the evening and I will wake up that way in the morning. THAT’S comfort!